So don’t miss this once-in-a-lifetime opportunity to head off to Las Vegas, Nevada for JBL Fest 2018. 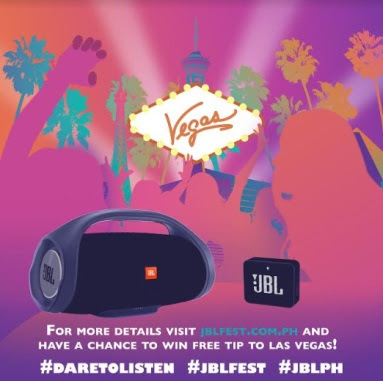 For more details, visit the JBL Facebook page, www.facebook.com/JBLPhilippines or follow them at Instagram (@jblph). Per DTI-FTEB Permit No. 10373 Series of 2018.